The Christian and Missionary Alliance grew out of the vision of Rev. 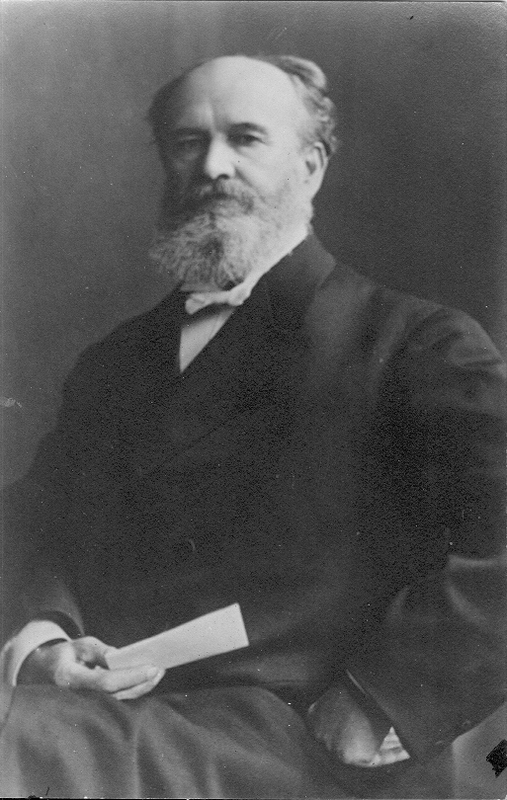 Albert Benjamin Simpson, who was ordained in the Presbyterian Church in 1865 and became the pastor in one of Canada’s most prestigious pulpits. During the next number of years, the Holy Spirit revolutionized his life, making him more passionate for neglected people and people living in poverty at home and around the world. In 1887, compelled by a sense of urgency to take the message of Jesus Christ to all nations, Simpson was used by God to give birth to The Christian and Missionary Alliance. It was only natural that his vision should extend to Canada. Many of the leaders in those first years were Canadians. 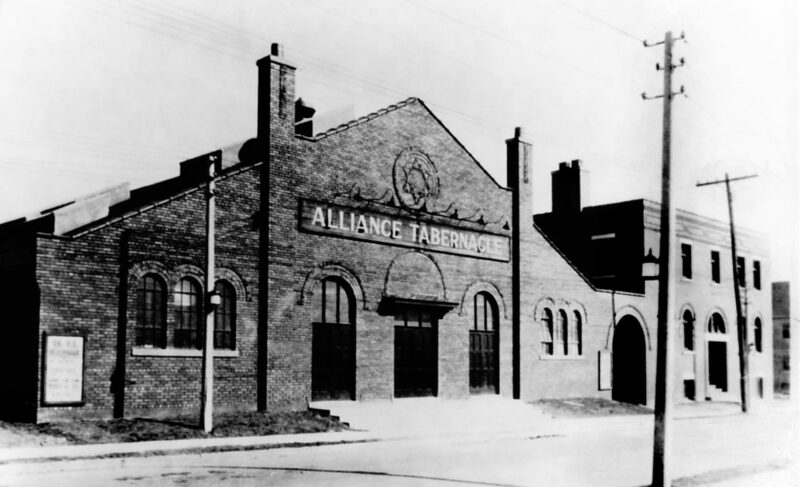 The first Alliance church in Canada was Bethany Tabernacle, founded in 1887 by John Salmon in Toronto. Dr. William Cassidy, a Toronto medical doctor, was the first ordained missionary in the new mission society. He died of smallpox en route to China. However, his death was the “spark that ignited the Alliance missionary blaze” which has been burning to this day. By the 1920s, the C&MA became a major evangelical movement both in the United States and Canada. In Canada, saddle-bag preachers visited the homesteads of the West, and evangelists conducted campaigns in the East, bringing many people to Christ. By 1926 there were 19 “branches” in eastern and central Canada and four in western Canada. The growth of the church in the 1930s was in direct contrast to the depression experienced by the entire country. In 1941, the Western Canadian Bible Institute was opened in Regina as a direct result of the need for trained workers. 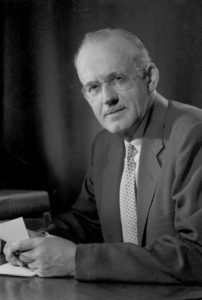 Aiden Wilson Tozer served pastorates across the United States, including 30 years in Chicago. He became known as a writer with a wider evangelical audience and his writings continue to influence Christians around the world. His final pastorate was at the Avenue Road Church in Toronto, Ontario. From there, his sermons and writings greatly impacted Canadians in the post-World War II years. Throughout the early years, the C&MA in Canada was governed by the U.S. Alliance. An autonomous Christian and Missionary Alliance in Canada came to a new direction during the founding Assembly held in Winnipeg in June 1980. A constitution was adopted, a president elected, and a Board of Directors chosen in preparation for full Canadian autonomy January 1, 1981. The two organizations, from Canada and the U.S., still maintain a close cooperative relationship today. Over the past 30 plus years, the Canadian C&MA has had four presidents: Mel Sylvester (1980-1992), Arnold Cook (1992-2000), Franklin Pyles (2000-2012) and David Hearn (2012-present). We have grown from 241 churches to more than 440. Albert Benjamin Simpson was born in Cavendish, Prince Edward Island on December 15th, 1843 to James and Janet (Clark) Simpson. His parents were of Scottish descent, his father also an elder in the Presbyterian church. A depression hit Canada in the 1840’s and the family moved to Ontario where Albert accepted Christ as his Saviour when he was 15 years old. After graduating from Knox College in Toronto at 22 years of age, Simpson accepted his first pastorate at Knox Church in Hamilton, the second largest church in Canada with 1,200 members. Under Simpson’s ministry, the church added another 750 people to its congregation. After eight years at the Knox Church, God led Simpson to the Chestnut Street Presbyterian Church in Louisville, Kentucky. The Civil War had left this city and its churches with heavy financial and spiritual problems. Simpson called for reconciliation and prayer. He set up missions all over the city for those who did not go to church. At the end of five years, he felt he’d done all he could do there and was called to New York City to pastor the Thirteenth Street Presbyterian Church in 1879.
he would speak about healing and minister in any way God called him. Simpson felt a great burden for the poor and those who had never heard the Gospel, especially among the large immigrant population. He led approximately 100 Italian immigrants to Christ and wanted them to become members of his church. Unfortunately, his congregation did not agree. Simpson’s heart was broken, and he began a work that would accept people from all walks of life. He established the Gospel Tabernacle in New York City as an independent church. He held evangelistic services, ran rescue missions, preached in prisons, held meetings for sailors, opened an orphanage and a home for unwed mothers, provided a dispensary for the poor, and started the Missionary Training School. He helped to form and lead two evangelization societies—The Christian Alliance for pursuing the higher Christian life, and the Evangelical Missionary Alliance for foreign missions. In 1897 these two groups were joined together, becoming The Christian and Missionary Alliance. In May 1918 Simpson retired after more than 50 years of service to the cause of Christ. He died October 29, 1919 in Nyack, New York. Family members recall his final words were a prayer for all the missionaries he had helped to send throughout the world. Simpson published over 70 books, edited a weekly magazine for nearly 40 years and wrote many gospel songs and poems. Founded in the 1880s, The Christian and Missionary Alliance is committed to Jesus and his mission. We are a group of approximately 440 local churches in Canada, and we send people to live on mission locally and globally. We aim to be a Christ-centred, Spirit-empowered, Mission-focused movement in everything that we do.